RailCOMPLETE does model checking while you are working in the model. Objects have configurable model checks, based on the Rail Administration’s technical regulations and thumb rules. This reduces the time to detection of design flaws. In particular, checking of inter-object distances is often an essential basic check to be done. Balises check distances within the balise group and between neighbor balise groups, distance to nearby switches, to signals, to insulated joints, to cables crossing the track, and displays a visual warning both in database tools and in drawings if something is wrong. Axle counters check their distance to nearby signals and switches, minimum length for track vacancy detection section, etc. Signals check inter-signal distances, train running times, hazardous distance to high voltage catenary equipment, foundations, etc. Below is an example of balises. 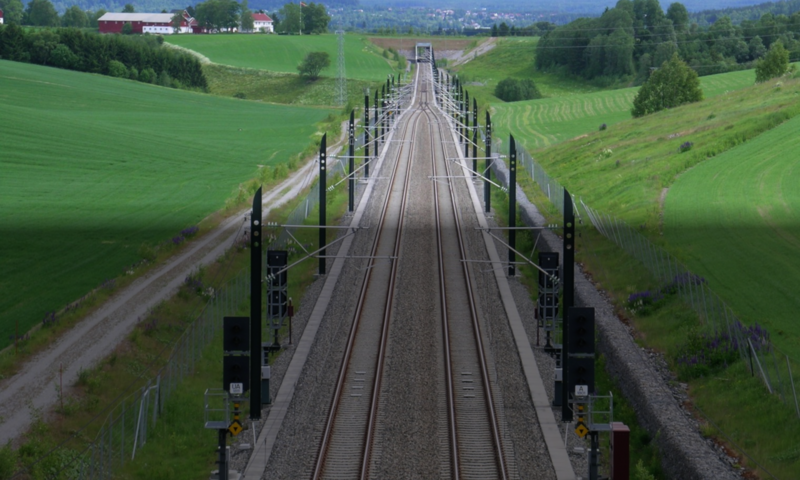 Balises are plastic encapsulated transponders located along the railway track, which send data telegrams to passing trains containing permissible speeds and target distances for braking curves. These transponders will interfere with each other if they are installed too close to each other, or too close to steel masses or cables crossing the track. They can be mistakenly read by a train in a neighboring track (or by a train on a passing bridge over the track) if the tracks are too close. Balises must be correctly spaced for the train to perceive them as individuals but still belonging to the same balise group, but a balise group must also have a minimum distance to the next group so that the train is able to separate the groups.